AMD Radeon HD 8000 series codenames leaked? 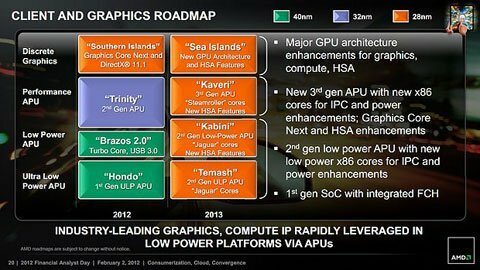 Legit Reviews came across leaked details that reportedly reveal the codenames of AMD's future Radeon HD 8000 generation, which will be a refresh of the current generation HD 7000 parts using the same 28nm process. There are four Venus parts (Radeon HD 8900? ), three Oland chips (Radeon HD 8800?) and nine mainstream Mars GPUs. AMD9833.1 = "KB 12W 2C (9833)"
AMD9834.1 = "2C 5W KB (9834)"
AMD9832.1 = "KB 17W 4C (N-1) (9832)"